I was interviewed by Wallace McBride for the Collinsport Historical Society, his content-rich website all about “Dark Shadows.” Much of our conversation was “Dark Shadows”-centric, which was fine with me. Topics discussed included virulent fan reaction to Tim Burton‘s 2012 adaptation; Jonathan Frid‘s 1969 appearance at the Devon Horse Show; and my enduring crush on Kathryn Leigh Scott. McBride posted the podcast on Halloween, and sifted in excerpts of cool vintage songs, including “My Baby Loves Monster Movies” (1964) by Jekyll & Hyde. (No, I don’t remember it either, but this Monster Craze relic is a real trick-or-treat.) Listen to the podcast HERE or read the abridged transcription below. Q: Do you think Vietnam played a similar role in the end of the monster-kid boom (as you believe World War II did in the late 1940s)? A: I don’t think Vietnam played a role in the Monster Craze ending. I think it was a loss-of-innocence thing. The decade of the ’60s came in like “Leave it to Beaver” and went out like Altamont. Yes, the nation was divided over a president and divided over a war by the late ’60s. All of that stuff was going on. But at the kid level, I don’t remember there being enough awareness. I always point to the end as: By the time you had “The Exorcist” (1973), and you had the demon child Regan played by Linda Blair doing things with a crucifix that Reverend Trask never dreamed of — then, I think, it was over. I think that the naïvete and the innocence of the Monster Craze was sort of what sustained it. Once that innocence went away, once the world got darker, then that’s where I draw the line. The Collinsport Historical Society’s graphic for the podcast. Love the crinkled-paper effect. Q: How does “Dark Shadows” fit into this puzzle? A: Well, “Dark Shadows” helped to sustain it. The funny thing is, a lot of these fads that happened in the ’60s were very short-lived. The Monster Craze might have died in 1966, when “The Munsters” and “The Addams Family” were cancelled. They might have said, “Okay, I guess this thing has run its course.” And then that same year, a little black-and-white soap opera called “Dark Shadows” premiered. It was mostly just a mysterious soap at first, I don’t have to tell you. But when the character of Barnabas Collins was introduced in 1967, and then everything that followed — the trading cards and the novels and the model kits and the record albums, the torrent of “Dark Shadows” memorabilia or, at the time, merchandise that resulted — it just reignited (the Craze). The Monster Craze actually got legs because of “Dark Shadows.” Marketeers realized, “Oh, there is still money in this.” So that sustained it all the way through ’til the end, I think. 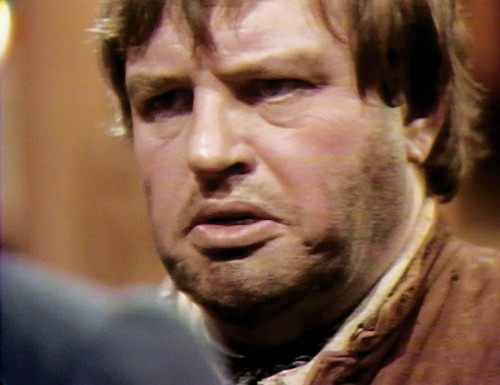 Thayer David as Ben Stokes, Barnabas’ tortured manservant. Q: I saw the photo on your website of your Halloween costume, so I kind of know the answer to this. But how old were you when you first discovered the show, and where were you at the time? That was early ’68, when I was 9. I never missed an episode, barring a 102 fever or my family going on a trip or something. But all the way through ’til April of 1971, I never missed it. And it is something that you can escape to, to this day. It’s just still wonderful. So, that’s where I was. I was a Catholic school kid, and there were crucifixes in all the classrooms, so I was always confusing things. 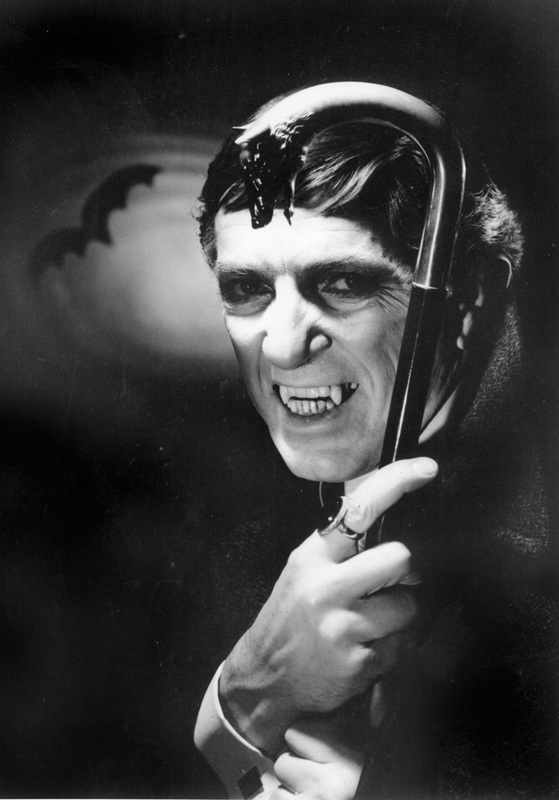 Like, “Why are vampires afraid of crucifixes?” But “Dark Shadows” had a lot of answers to questions like that. McBride: Was this show, as a child, something you took deadly serious? Voger: Of course, I was old enough to know that it was fantasy. But I still did. One thing: I’ve always been a nostalgic person. I think it came from an editor named Forrest J Ackerman, who edited a magazine called Famous Monsters, because he was always putting in old stills of, like, Lon Chaney Sr. as the “Phantom of the Opera” from 1925. This was, like, 1968, and I remember I would look at them as a kid and think, “Wow, if only I was alive then.” And then at some point, it crossed my mind that “Dark Shadows” was my generation’s cool monsters of the time. It wound up coming true. That’s part of our monster DNA from that generation, if you were lucky enough to have seen those episodes when they first ran. Q: Because of the format, “Dark Shadows” has been really cumbersome, when it comes to trying to keep it on television. So it kind of goes away for 10 or 12 years, and then comes back in syndication or on the Sci-Fi Channel. When was the second time you were able to revisit the TV show? MPC’s Barnabas Collins model kit — if only it had been sculpted by Aurora with box art by James Bama! A: It’s funny you ask that, because I never really got to see all the rebroadcasts. But I did scoop up the DVDs that MPI (Home Video) put out, those big sets, without watching them. I just got them, sort of like for safe keeping. 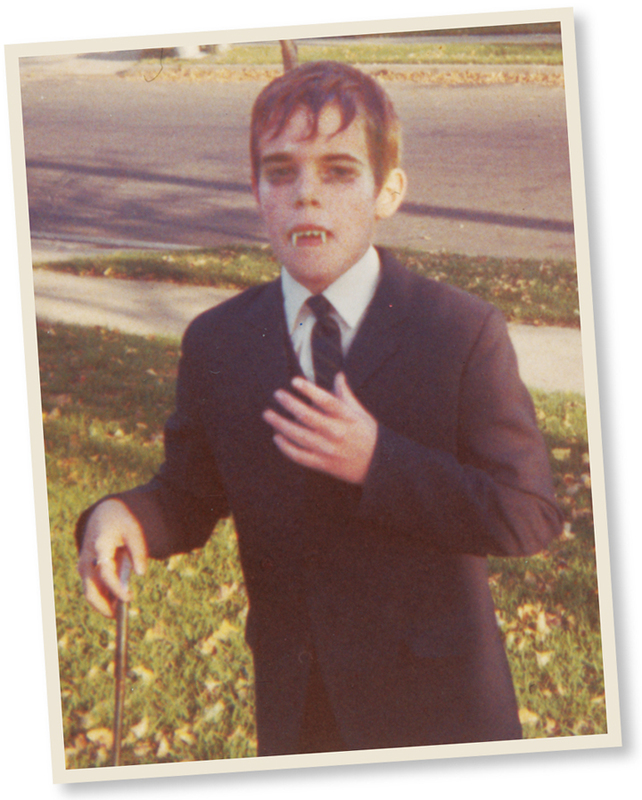 And actually, in the back of my mind, I was thinking, “I’ll bet you those episodes are going to be boring.” Because I remember when I was a kid that you never missed “Dark Shadows” on a Friday. Because Friday, they would do either a really cool cliffhanger or a really cool climax to a whole bunch of stuff. And you’d be, like, “Awww!” And then Monday would be cool, too, because then there would be the aftermath of the climax or the resolution of the cliffhanger. And then it just seemed like Tuesday, Wednesday and Thursday, they were kind of marking time a little, running out the clock a little. A little more dialogue than cool stuff. When you’re a kid, you wanna see cool stuff. So I assumed, as an adult, that “Dark Shadows” — because it’s all these half-hours, one after another after another — that it would get to be kind of boring. And about two years ago, for the first time since I was a kid, I watched the 1795 storyline that got me hooked on the show in the first place. And I’ve gotta tell you, it was amazing. Because it was not boring. It was actually creepy. I think “Dark Shadows” has an unfair reputation because of the bloopers. Well, bloopers are going to happen on a show that’s taped “live” — it wasn’t broadcast live, but it was taped live. (Creator/producer) Dan Curtis never allowed the re-edits, I don’t have to tell you. And also, here’s a show that wasn’t a standard soap opera. It wasn’t modern dress. It wasn’t talking about romance or money. They had props and all these sets that no other soap opera had. So naturally, there’s going to be bloopers. And Jonathan Frid always admitted that he wasn’t as quick of a study for memorizing. Anyway, those bloopers live on, and they’re hilarious. But, man, if you just watch the show, sometimes it’ll be the ghost of Angelique superimposed, and then that beautiful Robert Cobert music that was so creepy. And there’s an echo on her voice, and she’s telling Ben Stokes to do something. You get lost in it. You go, “Oh my God, that’s so creepy.” Yeah, I actually responded almost like I did as a kid, and it was a revelation for me. Q: How about the Tim Burton film (of 2012)? A: Well, it’s funny you should ask that too, because I just rewatched it. 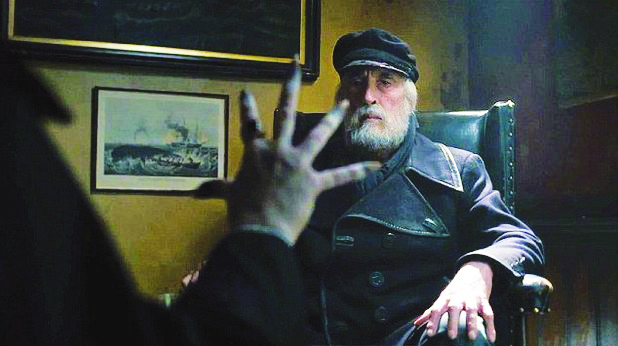 Because, as you know, we recently lost the great actor Christopher Lee. He was the last of the classic monsters. He was in a league with the classic monsters Boris Karloff and Bela Lugosi, going all the way back. And he was the last man standing. Robert Englund is just not in a league with those guys, no disrespect intended. Anyway, I was wondering: “What am I going to watch to remember Christopher Lee?” I was thinking: “Do I watch one of the Hammer Draculas?” And I thought, no, it won’t satisfy me. And for some reason, I put on “Dark Shadows.” He only has one little scene in it (as a Collinsport fishing-trade magnate). Basically, my opinion is that I actually love it. I actually think it’s hilarious. I love all the jokes. I mean, they just took a different tack. 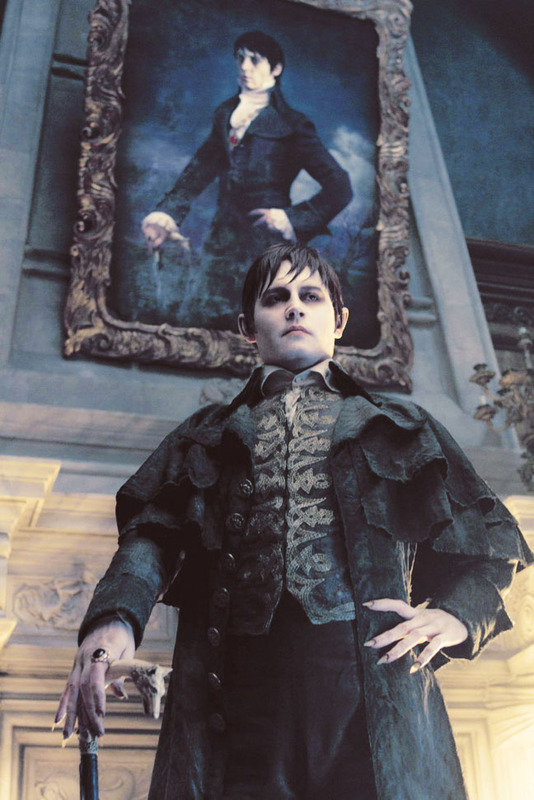 Maybe there are “Dark Shadows” purists who think that they trampled on hallowed ground or something. I think all the jokes are great. The movie does go south, when they ramp up to the big climax, with Barnabas fighting Angelique and the house turning into dragons. When it turns into your usual FX-laden Hollywood garbage, that’s when the movie goes south and I’m done with it. But pretty much all the way up until the ball, which of course had cameos by Frid, (David) Selby, Scott and (Lara) Parker — up until that, and that beautiful edit on the Alice Cooper song (“The Ballad of Dwight Fry”) — I’m with it. I watch it and I enjoy it and then I just look the other way when the FX start to happen at the end. Q: Tim Burton gets a place of honor, I guess, in your book because of his role as the monster kid cheerleader. What is it you think he loves about this stuff? Because he’s returned to this well quite a few times. A: Sometimes I have mixed feelings about Tim Burton. When he said that he “reimagined” “Planet of the Apes” rather than remade it, I just thought: “Aw, dude, you remade it. Come on!” I’ve read the original novel (by Pierre Boulle). The movie “Planet of the Apes” from 1968 with Chuck Heston doesn’t really resemble it much. So you took that. You remade it. I think there’s always been that snooty (attitude). When they made “The Addams Family” (in 1991), they would say, “Oh, we’re not really doing the television show. We’re harkening back to the original New Yorker cartoons by Charles Addams.” And I’m like: “No, no, no. You’re doing the TV show. Charles Addams never named Uncle Fester.” So I always think that there’s snootiness sometimes. Burton did that. I think Burton is a great guy to, yeah, remake stuff. It’s wonderful. His “Ed Wood” (1994), I think, is a masterpiece — you know, his second collaboration with (Johnny) Depp, about the director of “Bride of the Monster” and “Plan 9 From Outer Space.” I’m sure you know all about Edward D. Wood Jr. So I’m hot and cold on Tim Burton. I think he goes back to the well because he’s like us. He loves this stuff. I think he hit, not a home run with “Dark Shadows,” but, like, a triple. But I’m glad he’s around. I’m glad that he’s doing what he doing. Q: Have you given any thought to the resurgence of the next monster kid generation? How that’s gonna happen? This stuff tends to wane for a while, and then return. 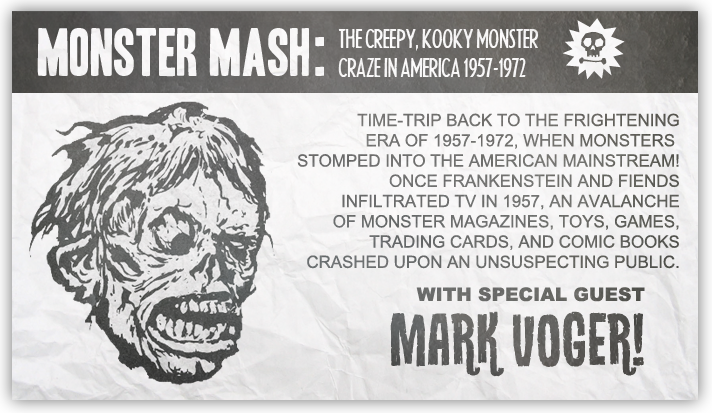 A: With “Monster Mash,” I was hoping that it would be a nostalgia trip for people who were around at the time. But I was also hoping that maybe some younger people would be attracted to it. It’s very visual. I designed it also, so each page is kind of a design trip — you know, it’s trying to be like that. So I was hoping that younger people, people in their teens or 20s or even 30s would look into it and just groove on the wonderful images from that period, where it was both creepy and kooky. It was kind of weird. And also, just to make the case that the monsters that are everywhere that you take for granted — there was a time when they were nowhere. And this is the era that, through this accidental revolution — it wasn’t planned — suddenly, monsters came back. As far as the modern crop of horror films — I mean, there’s very few (I like). I was the home video reviewer for The Star-Ledger in New Jersey for five years. So I had to watch some real crap, if you’ll pardon my French. Like, I saw one of the “Saw” movies. I don’t know what it is now — maybe somebody could explain it to me — I don’t know what the kids are into, what they think is a good horror movie. But there’s always going to be fans of Bela Lugosi, still unborn. There’s always going to be fans of “Dark Shadows.” Younger people are going to find “Dark Shadows.” There’s something cool and timeless about these kind of things. Q: Have you had a chance to interact with the original generation and the new generation of “Dark Shadows” fans? The internet has actually made that a lot easier than it’s ever been before. Have you seen the violent, negative reaction from the original fans to Tim Burton’s film, vs. the young audience who actually seem to embrace the film, while still also enjoying the television show? Have you had a chance to witness any of that online? A: I guess I haven’t, Wallace. 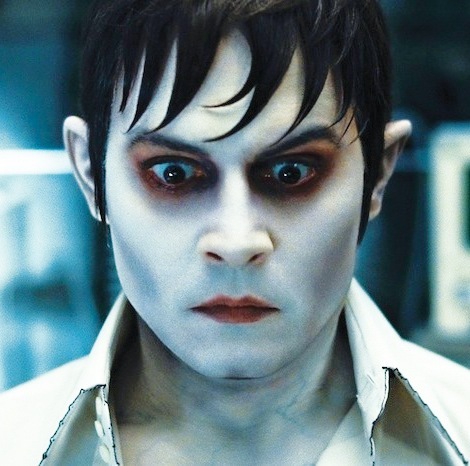 Are you telling me that the true “Dark Shadows” faithful mostly had a negative reaction to Burton’s film? Q: Oh, my God, yes. At the point where — I’m not fond of the film, but I’m even terrified of mentioning it, because people will come out of the woodwork with their pitchforks and torches. A: I can see that, because it really was a comedy. But it made me laugh. When Barnabas says to Carolyn (Chloe Grace Moretz), “Put those child-bearing hips to work” — there’s so much stuff in there I just thought was funny. But, see, I’m the kind of guy — I’m also a comic book guy and a big Batman fan. And I also speak sacrilege in Batman, because I’m a defender of the 1966 (TV series) “Batman” starring Adam West and Burt Ward. The Batman purists are just as virulent, just as much with the torches and pitchforks, saying that ruined Batman. What I always say is: Batman had many iterations. There was room for (other interpretations). You can’t look at the “Batman” TV show from the ’60s and say it ruined Batman, it was not a good depiction of Batman. You have to say: This is one version of Batman, and it’s a comedy. So that’s the way I look at the Tim Burton film: It’s a comedy. That’s what they decided to do. Yeah, it definitely has its flaws. But I guess I’m speaking sacrilege, and I’m speaking it to the Collinsport Historical Society listeners (laughs). So get out your pitchforks. 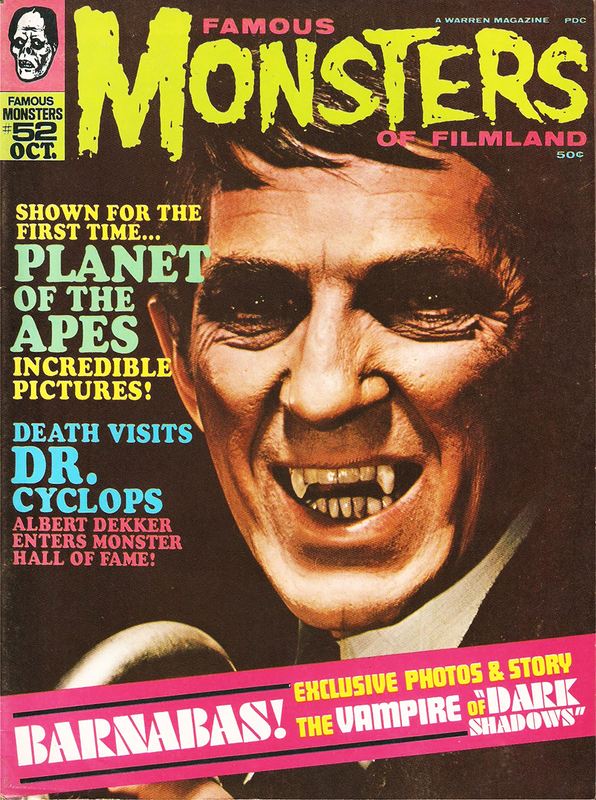 Barnabas became Famous Monsters’ cover boy with issue #52. Q: Well, it takes all types. And the ones who hate it the most tend to be the most vocal, and the ones who actually like it tend to keep to themselves, because they don’t want to have to argue about it, if that makes any sense. A lot of the younger fans, the ones in their 20s who like the movie, they’re also some of the more dedicated viewers of the original TV show. These are the people who’ve seen the episodes before Barnabas Collins. They’re the ones who know the nuances to the parallel-time storylines. But they’ve also discovered the show in the last few years, and a lot of it was thanks to Tim Burton. Regardless of what I happen to think about the movie. A: And one of the things I respected about the movie was: The movie opens with “Knights in White Satin” by the Moody Blues. And the opening titles for “Dark Shadows” is just white superimposed type over a helicopter’s view of the train that Victoria Winters is taking to Collinwood. That is right out of a 1972 film. I mean, I plan not to see “Ant-Man,” but I imagine if you go to see “Ant-Man,” the opening titles are going to be the usual garbage-y movie music that all sounds the same, and all the graphics. So Tim Burton went old-school and put a little white type on it that said “Dark Shadows.” It wasn’t even spooky-lookin’ type. It was just, like, Helvetica. Q: You had mentioned you talked to Kathryn Leigh Scott in the course of researching this book. A: Well, Kathryn Leigh Scott — I was madly in love with her when I was 10 years old. There was an issue of Famous Monsters, the first one where they put Barnabas on the cover (#52). I bought it because I just loved Barnabas. Inside were two photos of Kathryn Leigh Scott next to each other. One, she was just in “civvies”; she was wearing normal clothes; she wasn’t made up at all. And then one where she was the zombie Josette with the goopy eye. And I fell in love with the one in normal clothes, not the goopy-eye one. So I was madly in love with — I still am — madly in love with Kathryn Leigh Scott. How could you not be? She’s just amazingly beautiful to this day. How could you not be madly in love with Kathryn Leigh Scott? And when I watched the 1795 storyline, all that stuff was coming back to me, too. Because I was like: “Wow, Josette is so innocent and sweet and beautiful. That’s who Barnabas should be with.” But then again, Lara Parker and Jonathan Frid always said they didn’t play Angelique and Barnabas as villains. They played the reluctance to wanting to be evil. Sometimes Angelique, even though she did such horrible things — you felt that she was really hurt when Barnabas would completely spurn her. She’d be like: “But I love you!” I remember feeling that as a kid, and I didn’t know what romance really was. But I remember thinking, “That’s really sad. Because Angelique really does love Barnabas.” And then, of course, she sics a bat on him and turns him into a vampire, and has Josette jump off Widow’s Hill. Anyway, I’m babbling, Wallace. I taught myself “Josette’s Theme” on acoustic guitar — you know, the musical box theme. I have a really cool finger-picking version of it. And one of my fantasies is, I would play it for Kathryn Leigh Scott. But then I just figure: You know what? She would sit there; she would smile; she would endure it. And then she’d be thinking: “This has happened to me 100 times. You’re the 101st.” But, yeah, I still got it bad for Kathryn Leigh Scott, I admit. Q: Did you have a chance to speak with her or any of the cast members while researching this book? A: The way I did it was: It was a lifetime of research, almost, you could say. I’ve been a newsroom guy, a newspaper guy, since 1978, when I was in college and I was a “stringer” (part-time reporter). Once I really got my bearing in newspapers and started writing regularly, I developed a specialty in entertainment reporting. I would go after, not just actors and actresses, but musicians. I developed a specialty for trying to track down anybody, an artist or actor, of a vintage nature. So I’d go after classic rock people or classic television people and all this kind of pop culture, like sci-fi, comics, horror, classic rock. 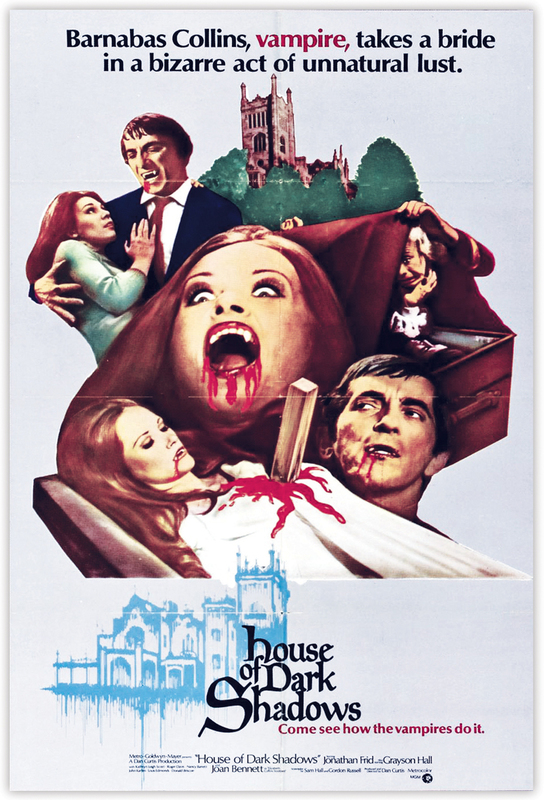 To say the least, “House of Dark Shadows” had a fraction of the budget for the 2012 film. So in my travels, I’ve probably interviewed Kathryn about four or five times. The most recent time was just before Tim Burton’s film came out. So she told me all about them going to England to do the cameo. And she was laughing that — I said, “Well, I’ll bet you they spent more money on Tim Burton’s movie than they did on ‘House of Dark Shadows.’ ” And she just laughed. She said that they spent probably as much in three days of making Burton’s film as they did on the whole of “House of Dark Shadows” in 1970. She’s a dear person, I think. So that’s the most recent. Q: Oh, wow. I’ve got photos of that on my website. A: Oh, cool. Actually, my mom took photos. I should put them up. Q: Yeah, I’d love to see those. A: Actually, Wallace, they’re from a great distance. You can only see the little gazebo thing that he was on. You can just see a little (of Frid’s) head and a bunch of people up there. But I remember it. I got right up close. I was 11, I think. There were a whole lot of people, and it was a real crush. I remember thinking my little ribcage was in danger. I had a tiny little autograph book, and I passed it up to him. He signed, probably, four or five autographs. It was a real quick appearance. He was in costume, I think, in my childhood memory. I remember he was blowing kisses to people. And I also remember having my mind blown, because, “Oh my God, that’s him!” There was no mistaking that it was him. Of the four or five autographs that he did, I was one of the lucky ones, that he grabbed mine. He signed with a green felt pen. Just: “Jonathan Frid.” You could barely read it. And then he passed it back to me. So I was one of the lucky few. And then I caught up with him again in ’90, at a convention in the city (Manhattan). He gave me a brief interview that I treasure. But, yeah, my hero! The final “Dark Shadows” novel came out in 1972, the year after the series was cancelled. I wanted to ask you, Wallace: What is your history? Did you see (“Dark Shadows”) first-run, or are you one of the latter-day saints? Q: Mine is a bit more complicated. I was too young. The only thing of the original “Dark Shadows” that came out in my lifetime was “Night of Dark Shadows” (1971), and I was about two month old at the time. So I missed a lot of it. I picked up some of the Marilyn Ross books at a used book store. And my mom told me the back story, that there was this soap opera on TV, and it had a vampire and a werewolf in it. And I was sold. I didn’t have to see the TV show at that point. But we moved. I was living in New Jersey at the time, and it started to air on PBS. I was able to see a few episodes via antenna. Other than that, I didn’t get to see a legitimate amount of the series until it started on the Sci-Fi Channel in the ’90s, and I got to see it from Episode 1. 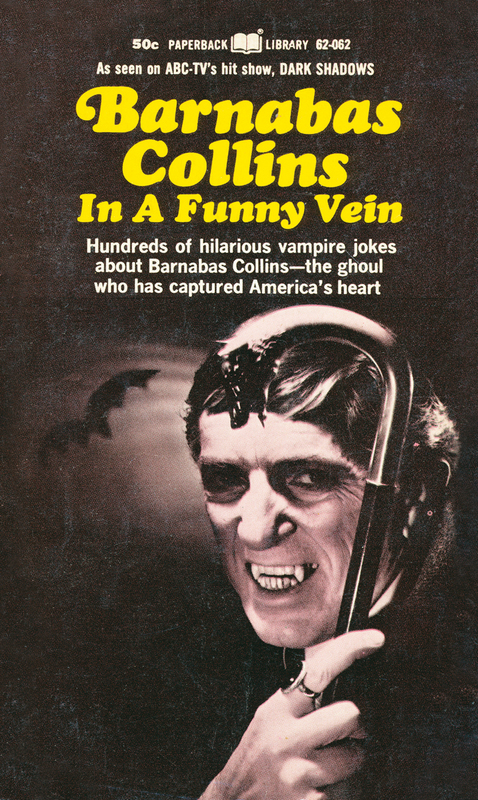 “Barnabas Collins in a Funny Vein” is not so funny. Q: Yeah, I’m only missing the last two or three books, the real rare ones in that series. That’s all I lack from that collection. A: He did warn me that once the collection is complete, then you get that empty feeling that you have nothing more to look forward to. 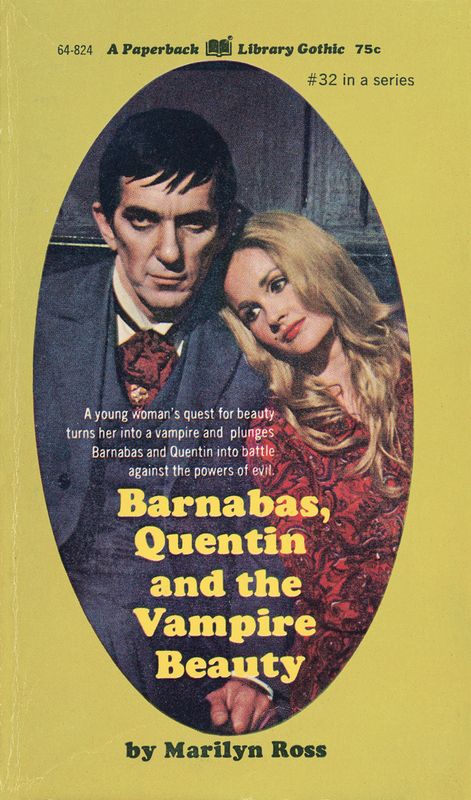 Wallace, have you ever looked into the paperback “Barnabas Collins in a Funny Vein”? Q: Yes, I have. I was set up at a convention in Charlotte (North Carolina). I think it was last year. And Kathryn and Lara Parker were both there to do a Q&A after a screening of “House of Dark Shadows,” then a separate screening the next day. I actually got Lara and Kathryn to read some of the jokes from the book to the audience. Q: Lara was a good sport, but she clearly did not understand what I thought was funny about it. She read them and she rolled her eyes the entire time. But she went through with it. But I don’t think she understood what was funny about it. A: Yeah. The funny thing is that it’s not funny, Lara. Oh my God, just awful. Well, I commend you, Wallace, for talking those lovely ladies into reading those dreadful jokes out of that book. That’s a real coup. That should go on the gravestone.